Is There an Increased Chance of Elder Abuse for Florida Seniors with Dementia? Today, one in ten Americans has dementia. Dementia “is a general term for loss of memory and other mental abilities severe enough to interfere with daily life. It is caused by physical changes in the brain. Alzheimer’s is the most common type of dementia, but there are many kinds.” This is a growing epidemic as the Centers for Disease Control and Prevention predicts that the number of people with dementia will triple by 2050. While you may be familiar with the idea of dementia as an illness impacting Florida seniors, you may not realize the correlation between elder abuse and dementia. Dementia patients are at an increased risk of elder abuse in large part due to the disease they are facing. These symptoms can include, but not be limited to, decreased cognition, a lessened ability to communicate, and diminished ability to use reason and judgment. Unfortunately, this can make them prime victims for abusers. There is a pattern in intentional abusers to find and isolate seniors who are afflicted with memory loss. While these abusers may be strangers initially to the senior, they work to make themselves integral to the senior on a daily basis before the abuse begins. Seniors, especially with dementia, are often isolated from family and need an increasing amount of assistance over time with activities of daily living such as preparing meals, cleaning, and walking. Scammers who would harm a person know this and strategically place themselves in a position of dependence with the senior. Remember, elder abuse can take many forms including, but not limited to, financial, emotional, and physical abuse, as well as, neglect and isolation. One of the keys to success is to both understand the problem and work together to prevent it. There is never a wrong time to report suspected abuse of a Florida senior with dementia. In Florida, we may report abuse by calling 800-962-2873 or you may click this link. We are here to help you face this issue and plan forward to proactively address the need for long-term care assistance both now and in the future. Do not wait to schedule a meeting with our law office on how we may be able to help you and the Florida seniors in your life. Seniors, boomers, industry professionals and family members traveled to downtown West Palm Beach early on a Saturday morning, to be both informed and entertained. Touted as a premier site for information on topics important to older adults, attendees enjoyed speaking with a variety of vendors and experts, providing products and services. 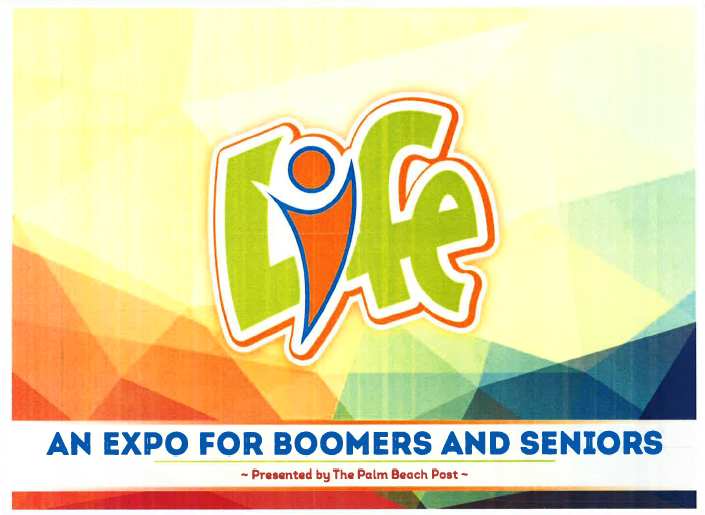 Exhibitors included: hearing specialists, retirement communities, hospitals, jewelers, prescription services, mortgage and insurance companies, the Palm Beach Post and Elder and Estate Planning Attorneys PA. Participants enjoyed food samples, community resource information, as well as lively and amusing stories from television and Broadway star Cindy Williams. Perhaps best known for her role as Shirley Feeney in the tv comedy series “Laverne and Shirley,” she shared anecdotes of memorable times with Garry and Penny Marshall, as well as other Hollywood personalities. For those in attendance, it was truly a trip down memory lane, as hearing her quips took them back to days gone by and happy remembrances—something we could all use now and then these days. With all the new community services connections made, it was truly a joy to those both attending, as well as sharing their businesses. Attendees agreed they are already looking forward to next year’s event with anticipation. Individuals with special needs often face much greater challenges compared to those without special needs. Quality of life can be compromised and added expenses may come into play. These individuals frequently rely on public benefits to help them to meet these costs. But the benefits often fail to meet all the needs of the disabled person. A special needs trust can help bridge the gap between public benefits and what the person really needs. The trust is specifically identified to meet certain supplemental needs and the enhance the quality of life for the beneficiary. The special needs person. Most importantly, the special needs trust is created so as not to disqualify the beneficiary for public benefits being received. Says Anne Desormier-Cartwright, of Elder and Estate Planning Attorneys, PA. A special needs attorney is essential for determining the right type of trust and how to construct it so a special needs person gets every benefit they’re entitled to. Elder and Estate Planning Attorneys PA is a law office small enough to provide personal service but large enough to handle all of your estate and planning needs. If you have assets, you should have a plan for what will happen to them in the event of your death, regardless of your age or health. This concept is known as an estate plan. The plan includes who will receive your assets after you pass, as well as directions for your loved ones to follow if you become incapacitated. “Developing an estate plan that clearly states your wishes for your assets’ distribution and your last wishes can make the probate process much less stressful for your family in the future.” says Anne Desormier-Cartwright of Elder and Estate Planning Attorneys, PA. These plans have several elements, the most important of which include your last will and testament, your advance medical directive, beneficiary designations for your assets, power of attorney designations and a trust. Not every estate plan will include all of these elements so it’s important for you to discuss your specific needs with your lawyer to develop your ideal plan. Elder and Estate Planning Attorneys, PA is a law office small enough to provide personal service but large enough to handle all of your estate and planning needs.